Tamworth mum, midwife and entrepreneur Edwina Sharrock will pitch her start-up business ‘Birth Beat’ to some of Australia’s sharpest business minds when she appears on Channel 10’s Shark Tank series tonight. 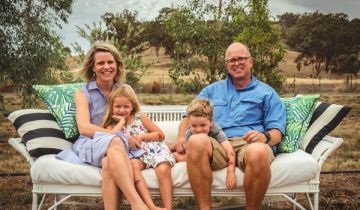 Birth Beat, which received a $22,750 grant from Jobs for NSW to develop its digital platform, offers online childbirth classes and is an example of the exciting entrepreneurial work women are doing in regional NSW. Edwina started her business to give women in country areas the same access to childbirth support as women in the city. Now her idea is a blossoming business helping hundreds of women across the country. Jobs for NSW’s grant helped Edwina develop her digital platform and the NSW Government’s Business Connect service has also helped the business snowball. Ms Sharrock said she had honed her perfect pitch for Shark Tank and was excited about the opportunity to learn from some of the best in the business. 'I’m really passionate about showing you can be a successful regional business and to get in front of those five experienced business people to thrash out ideas is an opportunity too good to pass up,' she said. 'I’m excited to announce we have just signed our first mum in the Northern Territory which means we now have clients in every state and territory. 'New Zealand is our next port of call. Birth Beat is totally disrupting the way people think they need to prepare for birth. Birth Beat also secured $1.5 million investment from health insurer HCF after taking part in the HCF Catalyst Accelerator at the Sydney Startup Hub. Edwina has also worked out of Sydney Startup Hub’s Regional Landing Pad which is supporting regional businesses with free Sydney accommodation when in the city.